The CDAO opposes the use of Wind Turbine Farms or Wave Energy Buoy Farms in Oregon’s offshore ocean waters at Coos Bay or any coastal location. Wind Farms kill 10 to 20 more birds and bats than previously thought. Summary of our opinion of Wind Turbine Farms: Wind Turbine Farms Kill Hundreds of Thousands of birds each year as based on the following study. From Rose Eveleth at smithsonian.com on December 16, 2013: One of the most commonly repeated criticisms of wind power is that it kills birds. The giant spinning turbines are basically bird death traps—and often they cut through prime flying space, making the carnage even worse. At least that’s the story. But how many birds really do die? Summary of our opinion of Wave Buoys: The Effects from the infrastructure of Wave Buoys change the physiological values associated with the marine organisms common to the smooth bottoms off of the Oregon coast jeopardizing the ecological productivity of their existence. The risks are not worth the reward. A recent study in Klickitat County, Washington shows that active wind farms in Washington and Oregon kill more than 6,500 birds and 3,000 bats annually. Biologist Orah Zamora works for West, Inc., an ecological field study company, monitors the Windy Flats project, one of the largest wind farms in the United States. Zamora looks for dead birds and bats that have been severed by the spinning blades of the surrounding wind turbines in order to conduct survey’s to observe how wind-power development is affecting birds. These surveys are financed by the wind industry and are mainly concerned with birds like eagles, hawks, and other raptors. Klickitat County is especially a concern because the area has an abundance of prey for these larger birds, hence, they tend to stay in the area. According to the study, these birds are diving for their prey and do not pay attention to the large wind turbine blades that may be in the way. There are differing views between scientists, biologists and wind-energy developers as to whether birds are at high risk because no one knows what cumulative death toll will have a significant impact on the species. A survey in Klickitat County at the Big Horn Wind Farm indicated that more than 30 raptors were killed “during an initial year of operations – more than seven times the number forecast in a pre-construction study.” Among the dead birds were short-eared owls, kestrels, red-tailed hawks and a ferruginous hawk. “We take questions and concerns of wildlife impacts very seriously,” said Jan Johnson, a spokeswoman for Iberdrola Renewables, which owns the Big Horn Wind Farm. 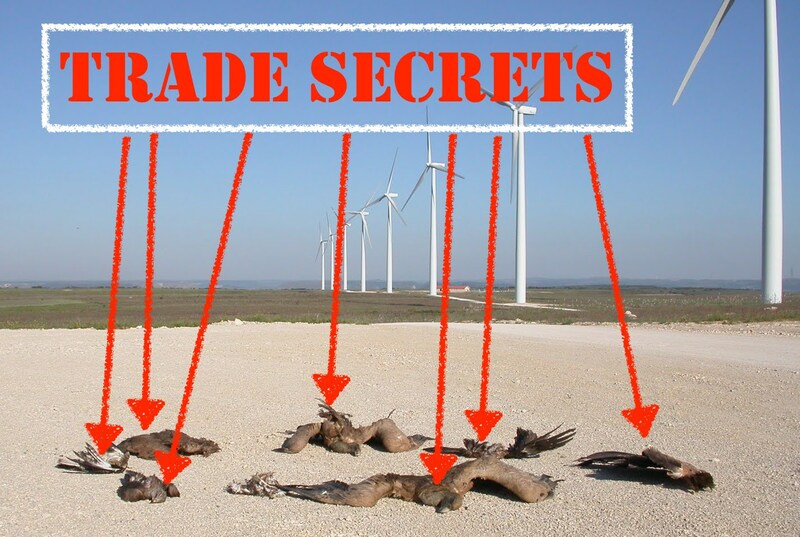 In addition to these findings, Altamount Pass Wind Farms in California have older wind turbines from the 1980’s that have killed more raptors “per megawatt of power than anywhere else in the nation.” These wind farms kill more than 1,600 raptors per year. While developers have agreed to relocate turbines away from canyon ridges where the large birds of prey spend most of their time, the death toll is still expected to rise due to the lack of information regarding what death toll is biologically significant to these birds. A study by West, Inc. that was paid for by the Klickitat County Planning Department showed that the turbines would kill 516 raptors each year just in the Columbia River plateau region of Oregon and Washington if the industry doubled in size. The study determined that this was not a significant number, but ecologist K. Shawn Smallwood thinks the study underestimates the number of deaths and that it’s hard to conclude whether these wind turbine-related deaths would harm an entire species. Dear Director Melcher and Commission Members, it is my understanding that ODFW has an initiative to resolve this issue? Yet the issue remains a sore point of contention especially when the State and OSU are promoting wind turbine farms over Oregon's territorial seas. Boy O Boy!!! Wind Turbine Mortality is an issue that drives a wooden stake into the meaning of ODFW's Mission Statement!!! Oregon has plenty of Wind Turbine Farms. What is stopping the ODFW or any other State Agency from counting the kill ratio 24/7 365 day a year excluding the scavenging of carcasses of dead wildlife. Let's put an end the controversy once and for all!!! Thank you for your consideration. We look forward to your thoughts.